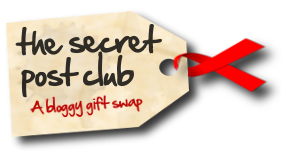 Last month I was really excited to join the Secret Post Club – a fantastic idea from Heather at Notes from Lapland. Each month you are given a blogger to send a secret gift to and you receive something from another blogger. You can send anything – something you’ve baked, knitted, sewn, a book you’ve read and enjoyed, a letter, poem, recipe – anything you’d like. I think there is a £10 spend limit from this month. If you like the sound of this, pop over to Heather’s blog to see if there are any spaces left to join in. A book that Eve really enjoyed reading, some Ferrero Rocher (my fave choccie ever! 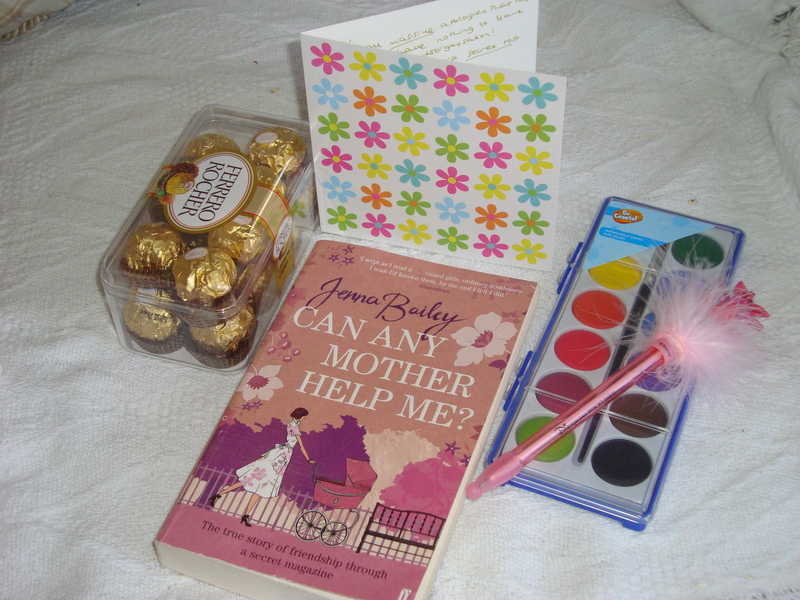 ), a lovely notecard, a fluffy pen for Grace and some paints for Faith. It was a lovely thoughtful gift – thank you very much Eve, the girls really appreciate their gifts too. I am looking forward to starting the book, it sounds just like the kind of book I enjoy reading. I had to send my parcel to Heather, who organises the Secret Post club. I sent her some interfacing, which I thought she might appreciate after her horrible experience trying to buy some in Finland, and a blanket that I crocheted. 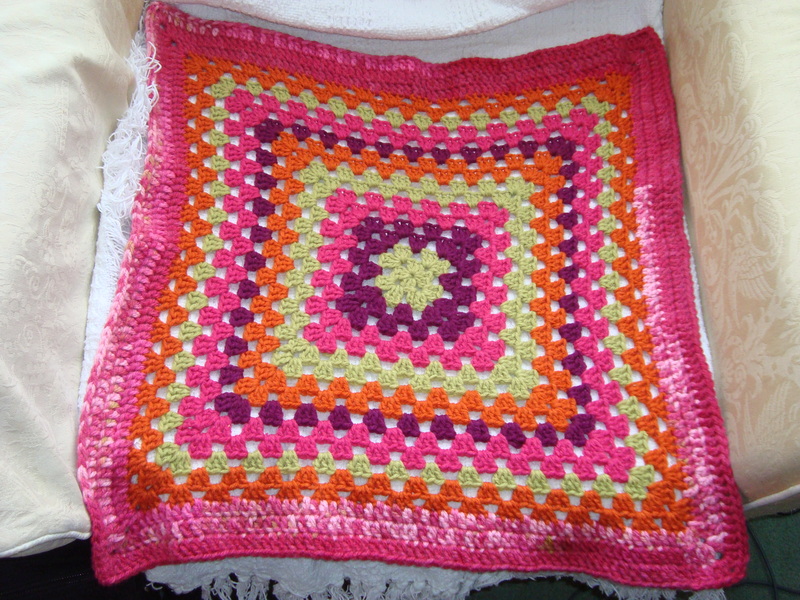 I was stash busting but unfortunately the yarn didn’t stretch a far as I’d hoped so it was rather a small blanket! Thanks again to Heather for organising and to Eve for my lovely parcel. Can’t wait for the next one to arrive this month!